Cats, of course, don't really have nine lives -- but thankfully there are veterinarians like Noel Fitzpatrick to help them keep the one they've got. 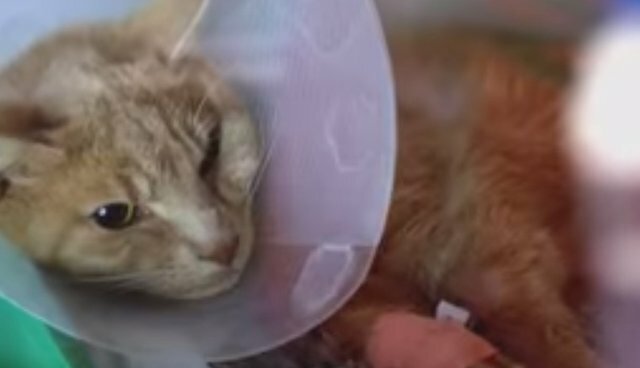 In this remarkable clip from the upcoming documentary series "The Supervet" set to air on UK's Channel 4, Fitzpatrick and his team go above and beyond to save the life of a ginger tabby named Tiger who had gone into cardiac arrest. After other means of resuscitation fail, the quick-thinking vet uses his finger to massage the cat's heart until it begins to beat again on its own. "I've definitely never seen a cat come back before, and I don't think I'll ever see it again," says vet nurse Philippa. "It was a one in a million chance, really."